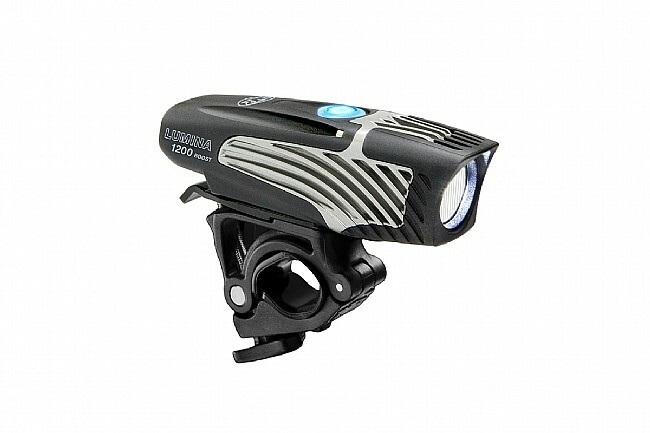 Combining the Lumina 1200 Boost and Solas 250, this Light Set provides two of NightRider's best urban lights. 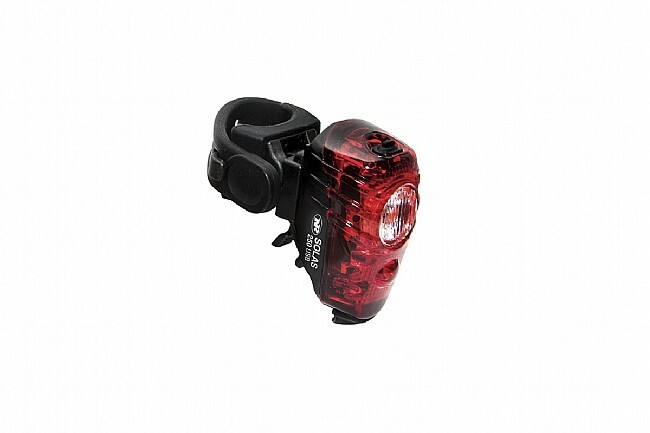 Up front, the Lumina 1200 Boost provides enough light that it can be used in just about all riding conditions, whether it be on the road, on your favorite mountain biking trail, or hand-held in Walk Mode. An all new Collimator lens ensures all 1200 lumens are even and widespread. 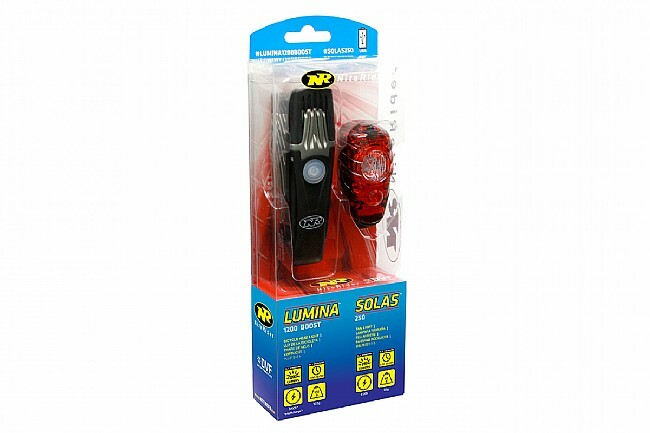 Out back, the Solas 250 uses two powerful LEDs to produce an amazing 250 lumens of light output. The Lumina 1200 Boost provides 5 light levels plus 1 Daylight Flash mode, while the Solas 250 features 4 modes (2 flash / 2 steady) and is USB rechargeable. Includes the NiteRider Lumina 1200 Boost Front Light, Solas 250 Rear Light, Handlebar mount (fits up to 35mm), USB charging cable. 1200 Lumen front light with 5 light levels plus 1 Daylight flash mode. 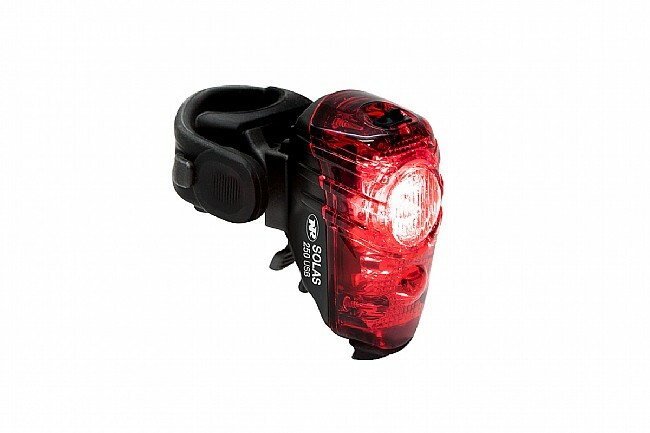 250 Lumen rear light with 4 light modes. Lock mode prevents light from powering on inside bag or backpack. 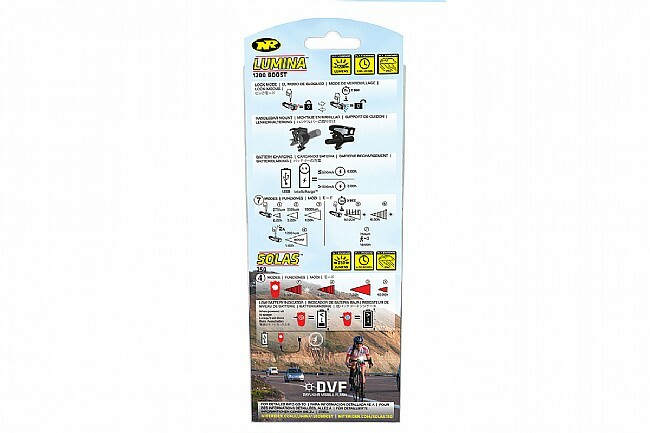 These lights are bright, adjustable, perform for a long time, charge relatively fast. They also get you noticed by motorists and make training rides safer. I have used them in the rain and in fog. Excellent products that are well worth the cost.